Some people ask occasionally about where to buy cow blankets. As far as I am aware, they are not available for purchase commercially. I asked around and a fellow dairy farmer generously gave me one of his new blankets (leftover from showing days many decades ago…). You may use the dimensions to make your own or give them to someone to custom make blankets. In general, cows do not require blanketing (nor is it recommended), but if going to a show or needing to keep a cow clean for appraisal, a pretty blanket can come in handy. From point of withers to tail, 55 inches (across the backline). From top of tail to bottom of blanket, 33 inches. There’s a little hole in the blanket where the leg straps clip on. The hole is from the back: 20in. and from the front: 42in. The hole is approx 2 inches wide and 4 inches long in a upside-down teardrop shape. On bottom, from back leg to brisket, 64 inches. (Notice, the bottom edges are very rounded. Also, at the front, around the brisket, the fabric gets wider. 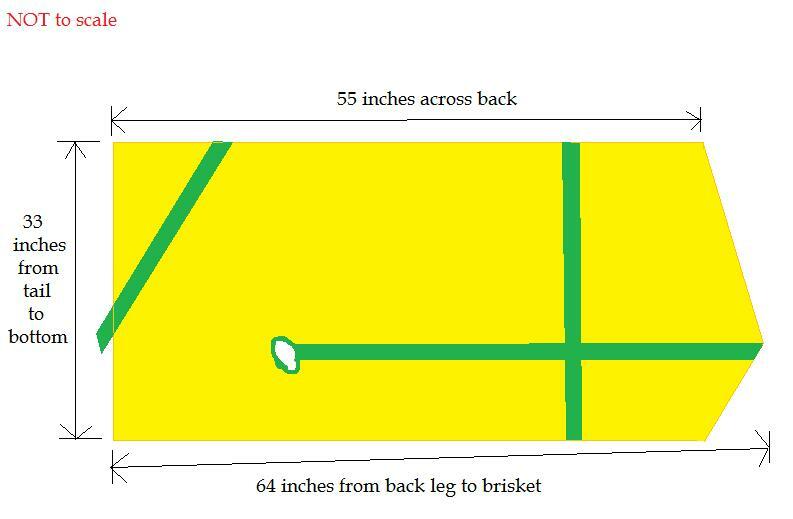 So, at the withers is 55 inches, at the brisket, 64 inches, so a slope change of 9 inches from top to bottom. From top of back, looping around REAR legs, about 75 inches. It is really one long strap, so 150 inches to include both legs. From front brisket strap to hole for rear leg straps: 42 inches. Strap over the withers, 68 in. on right side; 24 in. 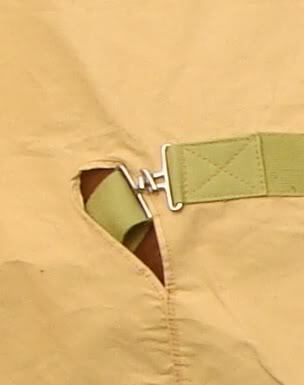 on left side, with the buckle attachment. The buckles are 2 inches wide and loop through the cotton straps. One side of the buckle has a rectangular shape on the end. The other buckle has a T shape, where the ends of the T are curled over a bit. You put the T through the rectangle and twist and it “hooks” on that way. The back strap for each leg: It just loops between her udder and leg. There’s a strap like that on each side. You can see it peeking out just above her hock. I would recommend looking for canvas in your own farm colors. That would be quite festive! You can usually buy a small horse blanket that will work. Just measure your cow first. From center of chest to the back or tail. Rescue people throw a fit when they see a jersey concause it is near impossible to have a fat one that is milking. I thought of using a light blanket just so they couldn’t see her ribs. Looking for someone to make our Jersey cow and new calfs winter blankets. I don’t sew and live in cold North LA. Any help would be Greatly Appreciated. If you aren’t able to find blankets to be made for cows, then I would recommend not using blankets (which are messy and get dirty if used for more than just shows). Rather, a FREE-stall design (https://spiritedrose.wordpress.com/jersey-cattle/before-buying/wintertime-cow-care/) and a thick bedded back of layered straw and shavings are excellent for cows. For calves, I’d recommend WOOL-OVER blankets, many Select Sires reps sell them. They are made from wool and our favorite calf blanket, and they come in various sizes, usually a small will fit a Jersey calf for the first month. We use a large dog blanket on our jersey calves, and I found a calf blanket at a dairy supply store last year. Thank you so much for posting these instructions for making a show blanket! I love my Jersey cows!